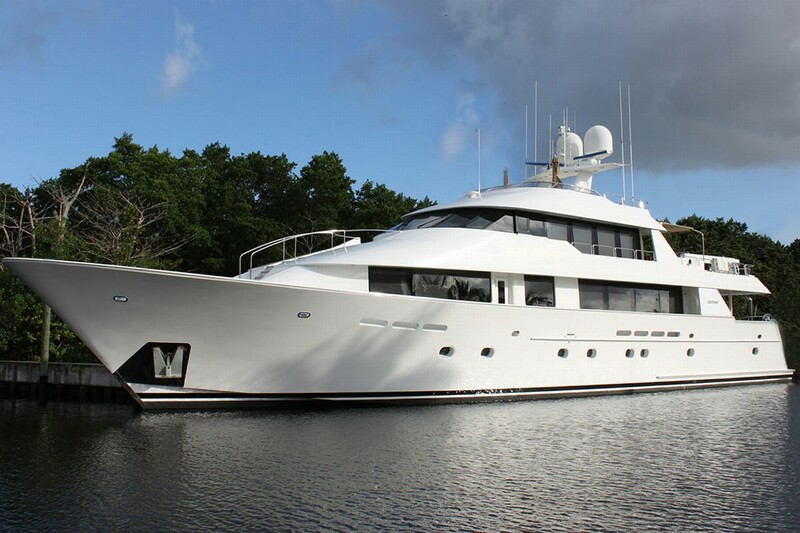 RJC Yacht Sales & Charter announces the sale of 130' Westport, REDEMPTION! RJC Yacht Sales is pleased to announce the sale and closing of the 2004 130' Westport REDEMPTION. Bob Cury in our office introduced the buyer and the vessel was centrally listed by Mark Osterhaven of Worth Avenue Yachts. REDEMPTION accommodates (10) guests in a (5) stateroom layout including an on-deck master, (2) VIP King and (2) Twin staterooms below. Powered by MTU 12V-4000's, the vessel cruises comfortably at 20 knots with 25 knot top end speed. Her nearly 10,000 gallon fuel capacity allows for extended range, yet her 6' 6" shallow draft is perfect for island cruising. The vessel will immediately go through a major refit over the summer to be ready for her new owner's usage in the fall as the new KALEEN IX! The asking price was $7,450,000.